Saudi Arabia’s stock market took a breather on Wednesday, rising modestly on the back of corporate earnings despite continued investor concern and sell-offs arising from the killing of Saudi journalist Jamal Khashoggi. The main index edged up by 0.2 percent in early trading, with banks and petrochemical shares gaining. Saudi Co. for Hardware jumped nearly 10 percent after reporting an increase in third-quarter profit. Banque Saudi Fransi was up 1.9 percent after it reported broadly flat third-quarter net profit on Wednesday, in line with analyst forecasts. Top petrochemicals producer Saudi Basic Industries added 0.3 percent, while Arab Bank jumped 2.1 percent. The kingdom’s Public Investment Fund (PIF) has been indirectly supporting local stocks to limit a market crash caused by the Khashoggi case, Reuters reported on Tuesday, citing sources familiar with the matter. U.S. President Donald Trump said on Tuesday that Saudi authorities had staged the “worst cover-up ever” in the killing of Khashoggi this month and the United States vowed to revoke the visas of some of those believed to be responsible. 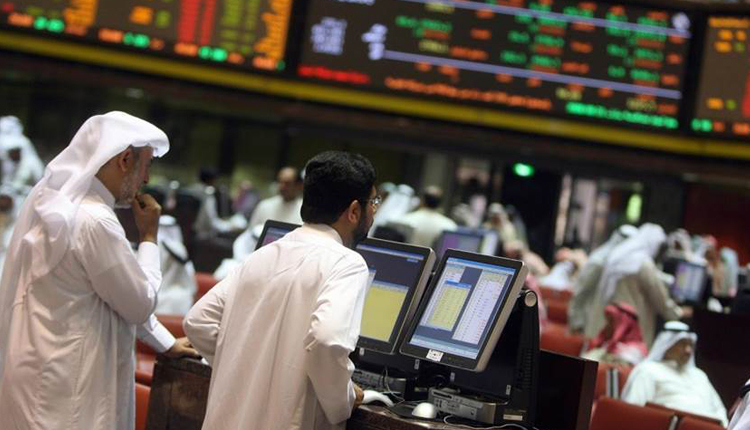 The Abu Dhabi index declined 0.9 percent, weighed down by banks. First Abu Dhabi eased by 1.4 percent and National Bank of Umm Al Qaiwain fell 4 percent in light trade. Dubai’s index was also down 0.9 percent as Ajman Bank lost 2.5 percent and Takaful Emarat dropped 2.3 percent. The Qatar index was down 0.5 percent, with Qatar Insurance shedding 2.1 percent despite an increase in nine-month profit. Brokerage EFG Hermes cut its target price on the stock to 43 riyals from 48.5 riyals. Industries Qatar fell 1.4 percent and Ooredoo dipped 1.6 percent. $1 = 3.6728 UAE dirham.